Happy 2nd anniversary to Team Kaladkarin! This November is TK's 2nd year (and my first as a member). 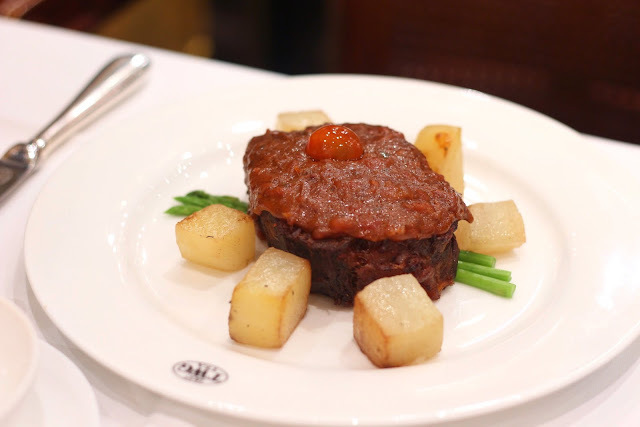 We celebrated this joyous occasion with some fine food at 55% off with TWG's 5th year anniversary promo. When we ordered the salmon, Tina already reminded the waitress not to overcook the fish, as this is apparently how TWG serves them. Finally, our orders arrived, and we were very much disappointed to see how dry the salmon was. It's pretty obvious in the photo. We returned the salmon and asked for a new batch. Minutes later, my salmon came and it was cooked well, better than the first batch. 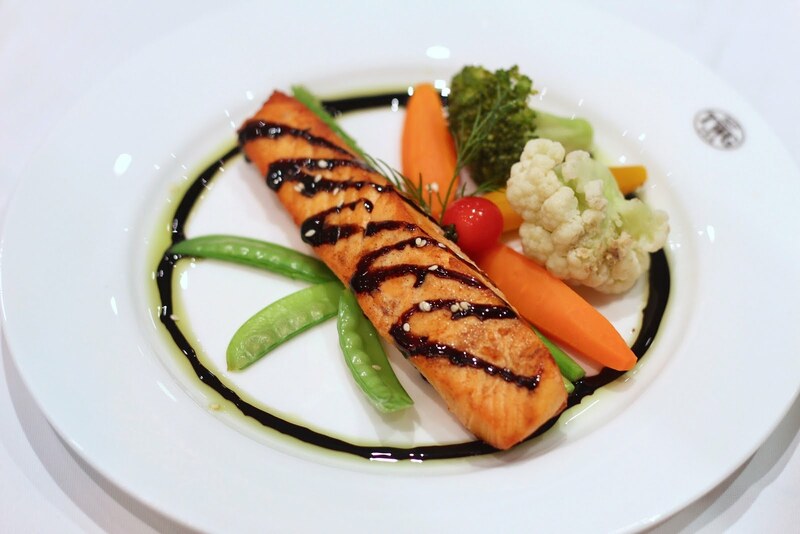 For the taste, I didn't really get the taste of the matcha, or anything else on my plate, but a salmon lover like me would be content about a perfectly seared salmon sitting in front of me. 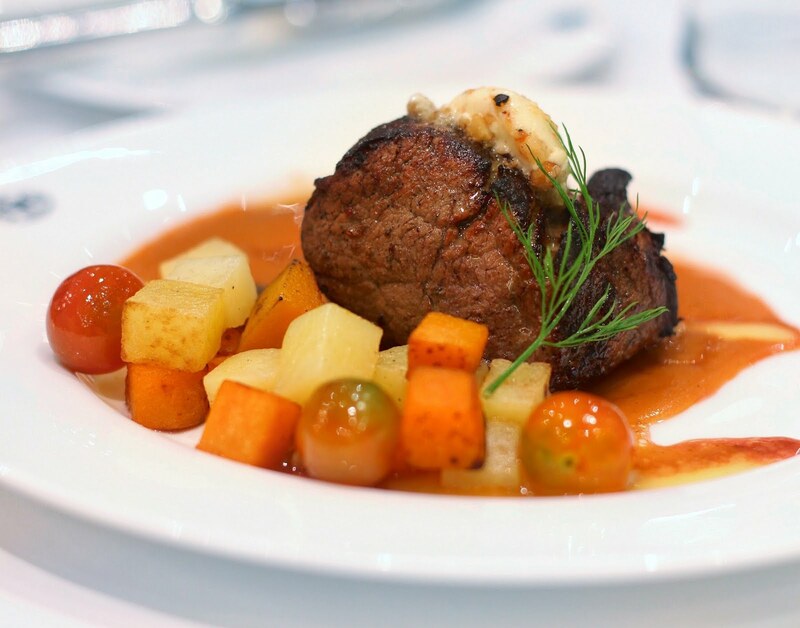 Beef tenderloin marinated with tea-infused herbs, topped with bleu cheese walnut butter and served with large diced potatoes and carrots and cherry tomatoes on the side. 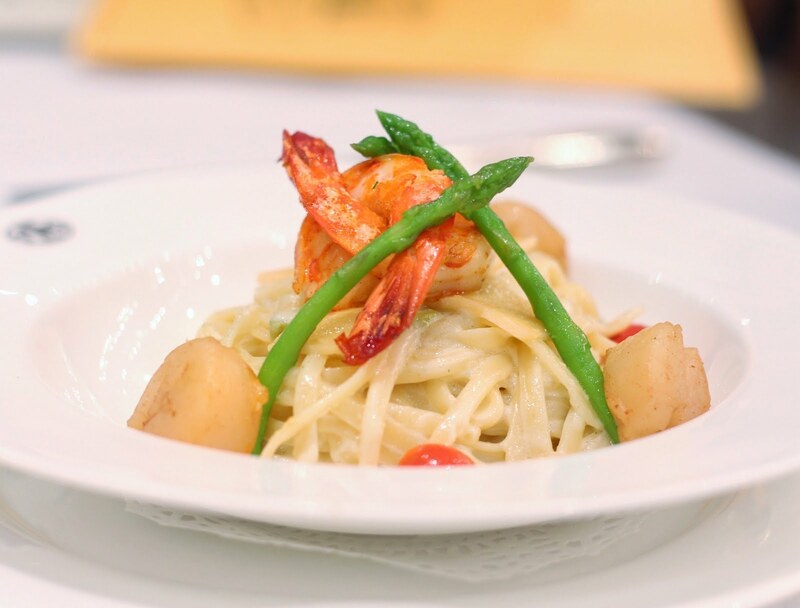 Cream-based fettuccine pasta topped with shrimps, asparagus, cheery tomatoes and scallops. 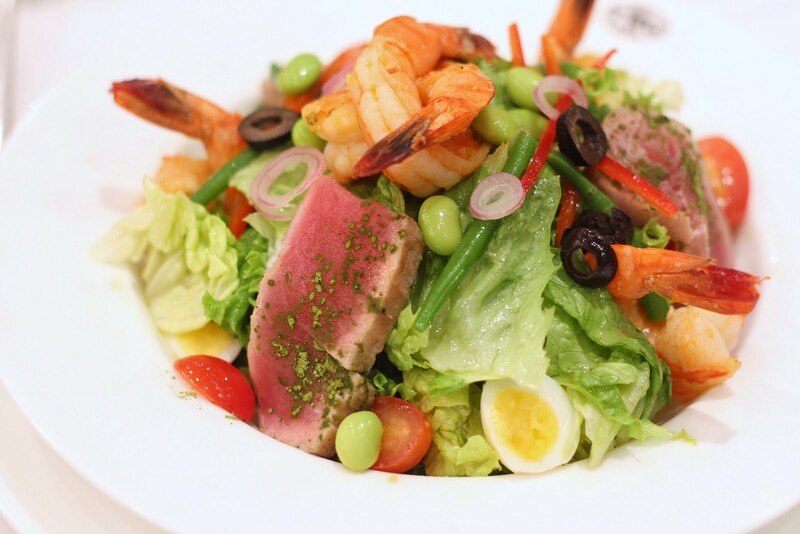 Mixed greens with shrimps, onions, olives, quail eggs, french beans and cherry tomatoes, topped with a huge, seared tuna dusted with matcha powder, and tossed in honey lemon dressing. I'm not a fan of the salad as a whole, but that chunk of tuna was delicious! 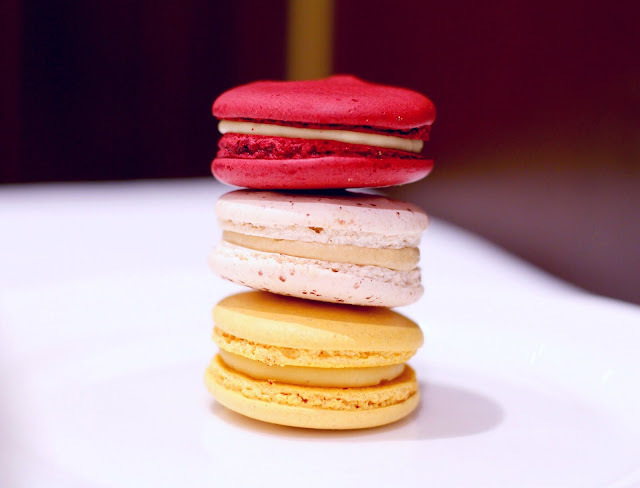 I had a taste of the red velvet macaron and it immediately became a favorite. Too bad I stopped myself from getting a box of macarons to take home since I'm trying to watch my sugar intake. 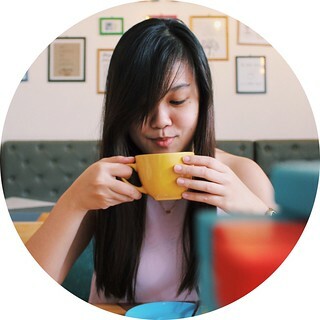 I wanted to order tea since I was feeling so bloated that night. The Moroccan mint tea was a great choice since it was refreshing and soothing. A teapot wasn't enough for me though. They don't do refills as they throw the teabag after serving you your tea. The service of this TWG branch is a bit disappointing. The staff weren't so friendly, and calling their attention proved to be very hard during our entire stay. Thankfully there was one staff that sort of balanced the negative vibe from the others lol. Forgot to get his name, though. 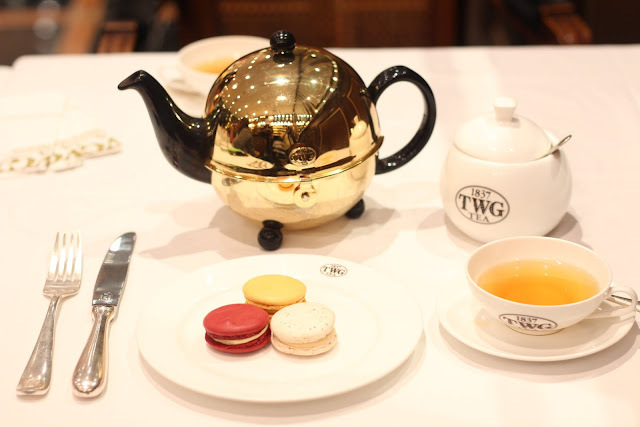 Overall, my experience at TWG was okay. With the 55% discount, everything can be considered cheap. But I'm not sure I will be willing to pay the full price for the dishes I got to try, plus the service that really has to be improved.